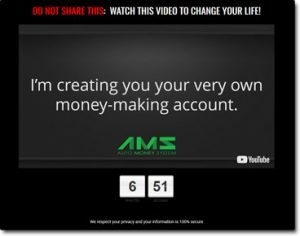 The Auto Money System claims to provide a risk-free way for you to earn tens of thousands of dollars online without doing any work – apparently you can just “plug-in” and start profiting right away, even without prior experience. So is it legit – or is the Auto Money System a scam that’s merely out to part you with your hard earned cash? And if it does really work then where the heck is the money supposed to come from? Those are exactly the things I’ll be uncovering right here in this Auto Money System review where I’ll be taking a closer look at it to find out what it’s about, how it’s supposed to work & whether you can really make any money with it or not. Meaning if you’ve been thinking about getting started with this system you can rest assured that you’ve landed in the right place to find out everything you need to know about it before you do. What Is The Auto Money System? As I briefly touched on above the Auto Money System is something that claims to provide you with a “done-for-you” online business that will immediately start generating you profits. You’re told that you don’t need to have experience & you don’t need to do any work any more than an hour a day on the business to keep it running, yet you can still generate tens of thousands of dollars. However other than that the promo video that you’re shown on the website doesn’t really go into a great deal explaining about how it all works or what you’ll be required to do, it just hypes up on the idea of making easy money online. To be honest I’m immediately skeptical about this system (as I’m sure you probably are too) because not only does it make ridiculously bold claims but it also closely resembles two other get-rich-quick scams I recently exposed – the Push Button System & My Online Dream Biz. Whilst it would be great if the Auto Money System did provide us all with an easy way to make cash like it makes out it does, sadly in reality it doesn’t – in fact it actually does quite the opposite to be honest. My suspicions were correct & the Auto Money System is indeed just another get-rich-quick scam that is set out to part you with your hard earned cash, making the creator wealthy at your expense. After watching the video you’re taken to a page where you’re told that you can get lifetime access to the system for just $37 (or $27 if you go to exit the page) & this was a huge red flag for me. I mean after all if this system can make the money it claims it can so easily then why is the creator having to charge you money for you to get access to it? Sounds like a classic get-rich-quick scam to me! Whilst the video & website leads you to believe that you’ll be getting access to some sort of system where you can simply hit a button & get your own “done-for-you” online business that’s already making money, unfortunately that’s not the case. After handing over your $37 (or $27 if you try & exit) what you’ll actually get is some low-quality training that is supposed to teach you how you can make money through affiliate marketing – which is where you promote other peoples products online for a commission. Affiliate marketing is indeed a genuine way to make money online, however the problem is that the training provided by the Auto Money System is so poor that you most likely wouldn’t make a penny even if you followed it to the letter. There are reputable (and free) training companies like Wealthy Affiliate where you can learn all about affiliate marketing & get the tools that you need to get started, with their training giving you a much more likely chance of making money. But no matter how great the training is affiliate marketing won’t provide you with an internet overnight – it’s something you need to work towards, therefore the Auto Money System is selling you on a complete pack of lies. Basically this system is just saying anything it can to part you with your cash, and whilst you’re told you get a “60 day refund period” I would take that with a pinch of salt because there’s no way you can believe it. 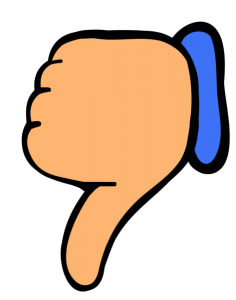 My Verdict – Is The Auto Money System a Scam? In my opinion yes, this system is flat-out scam. The video & website make outrageous claims stating that you can begin making thousands of dollars almost immediately after signing up but this simply isn’t true. Whilst the internet is a great tool it isn’t magical & therefore there are no methods that can see you generating lot’s of money without doing anything – if there were then everybody would be doing it. As you know if you were to start a business offline it would take time & hard work before you started making money – it’s no different online, it’s just that the start-up cost online is generally much lower since you don’t need to rent a physical location like you would do if you were trying to build a brick and mortar business offline. It’s clear to me that this system is just trying to take advantage of people who are new to making money online & don’t really know how it works, or are in a desperate situation & just willing to try anything. It’s quite sad really but unfortunately there seem to be more & more of these systems launching every week & I can only assume it’s because many people don’t bother looking for reviews before they sign up. Hopefully though you were able to come across this review before handing your cash over & managed to find out how it really works. As you can see it’s getting a thumbs down from and I don’t recommend it. 2 Responses to "The Auto Money System Is a Scam! Honest Review"
I’ve been a working man my entire life. In trying to get the “brass ring” I went into the financial markets as a mortgage loan officer just before the bottom dropped out of the markets globally. I lost everything, including my house. I put my family through times no one should have to experience. It’s taken 10 years to get back to being able to pay the bills. Corporate America is sucking the life out of me. I’m 55 and am looking forward to working g the rest of my life. I want get off this train before it kills me. I want to be able to provide for my family and their future. I’m so frustrated with all the scams and spending money on false promises. Please help. Hi Shawn, have you checked out my recommendation?